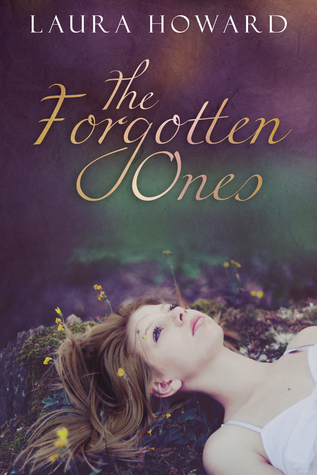 The Forgotten Ones is the debut novel of Laura Howard. This is the first book in Danaan Trilogy. We found this novel to have a few of the characteristics we seem to associate as new author issues; however, we did find the premise interesting and promising. The novel begins with our main character, Allison trying to ease her mother during one of her schizophrenic episodes. This sets the tone of Allison’s character. She is completely devoted to her mother, to the point that she neglects not only herself but living. Even though she has a long-standing crush on Ethan, her cousin Nicole’s boyfriend’s brother, she refuses to acknowledge or pursue her feelings even when they seem to be reciprocated. Her sole goal is to be educated so she can care for her mother, nothing else matters. Her plans are derailed when her long lost father, Liam, returns, to see her mother and meets his unknown daughter instead. The interesting mythology is centered on the Fae. Liam has returned in hopes of curing Beth’s insanity, but Allison refuses to believe him and his crazy stories of the fair folk. Unfortunately she is dragged into this world when her mother goes missing. Allison will sacrifice anything to save her, even herself. One of the issues we had with the writing was that as a first person narrative, the reader is being told what happens one instead of experiencing it through the main character’s eyes. This did detract a bit from our enjoyment. We also feel that the story read more like a novella rather than a full novel. This may be due to the terse, compact nature of the story. Gikany and Una would have preferred to been given more meat in this novel. It was interesting and were intrigued, but we were left wanting for more. In some ways we felt that the novel ended where it started, thus giving it a more prequel feeling than being a first book in a trilogy. All in all, our interest is piqued. We look forward to reading the next book in the Danaan Trilogy. If your are looking for a new and quick read, give The Forgotten Ones a try. I’m reading this one now. I like it, but yeah, I am left wanting more! Thanks for reading The Forgotten Ones!! I have really found the 3 star reviews I’ve received to be very very valuable. If you have recommendations for fleshing out the story, I’d love to hear them. Thanks again! I loved this book so much. The only issue I had was that Ethan didn’t seem to be fleshed out as much as i would have liked.